In the market for some snakeskin pieces? I find that this print, like leopard, is also a great nautral to spice up an outfit. 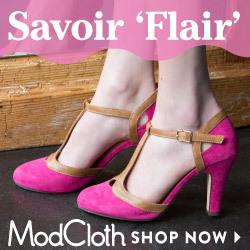 Shop some fab choices below. Don't forget that Banana Republic is having a 40% off sale, including some great styles at 50% off right now until 5/26. Use the code BRSUMMER. Happy Friday and cheers to the long weekend! You may remember this skirt from my previous post here, which I absolutely love. This time I wanted to try something a bit different with a little more of a laid back, yet polished look. Enter the forever comfortable and effortlessly chic chambray shirt. Stripes pair with practically everything in your closet so buying this skirt was a no brainier. As I mentioned before, it does run a bit small so ordering up one size would be best. I cannot wait to enjoy some family time this Memorial Day weekend. I'm also really excited for my Memorial day outfit this Monday, the unofficial start of summer! Enjoy everyone. 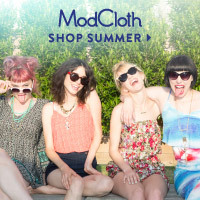 Modcloth is also having a 40% off sale for the summer holiday. Make sure to stock up on some cute looks! I already have my wish list filled to the brim.